Burdock Root is yet another vegetable I buy from Asian/Korean Market and my family love it especially my two year old daughter. Once cooked it taste really good, a bit chewy and crunchy and the taste is almost like 'Vazha thandu(Kambu) - Banana Stem(tube, the inside part of banana stem which is white in color)'. I'm just trying to make you feel the taste of it and I felt it is just close to the 'Vazha Kambu -Banana Stem' especially because of its chewy and crunchy nature. As I mentioned in my earlier posts I just try different veggies from Asian markets and try it my own way. Some turns out really good, some of them I feel just reasonable and I post only those recipes which really satisfy mine and my family's taste buds. I try to get the nutritious info online and these are the nutritional facts I found about 'Burdock Root', a really healthy and nutritious vegetable. Health Benefits: Extract derived from the root of the burdock plant has been used historically to help reduce blood sugar and remove excess fluid from the body. Burdock root may also reduce symptoms associated with inflammatory skin conditions, such as acne or psoriasis. Additional health applications include treatment of HIV/AIDS, cancer and gout; however, additional human clinical research is necessary to support these purported effects of burdock root. For centuries, the root of burdock has been used as a blood purifier, helping the liver and kidneys to eliminate waste. There is also a strong belief that the root stimulates the gallbladder and encourages the regeneration of liver cells. An infusion of the leaves, taken as a tea, or used as an external wash, is reputed to be excellent for skin disorders. Fluid extracts made from the fresh root, which also contains inulin and at least 14 different polyacetylene compounds, have genuine beneficial application in the treatment of eczema, psoriasis, and other skin disorders. Two of these compounds possess antibacterial and antifungal qualities; the commercial dried root, however, has considerably less quantities of each. There is sufficient evidence to suggest that inulin serves to correct irregularities of the immune system and inflammatory mechanisms, and checks microbial activity which lead to staph infections, all of which are conditions typical of eczema sufferers. Find more info related to Burdock see the following link. These are pictures of the Burdock Root which I bought from H-Mart. So next time you guys find it in any store grab one or two of them and try this at home. Peel off the skin of the burdock root and cut into three/four pieces length wise to make the chopping easy. Chop them into small pieces. Soak them twice in water for 10 minutes each and wash them well to remove the stain. 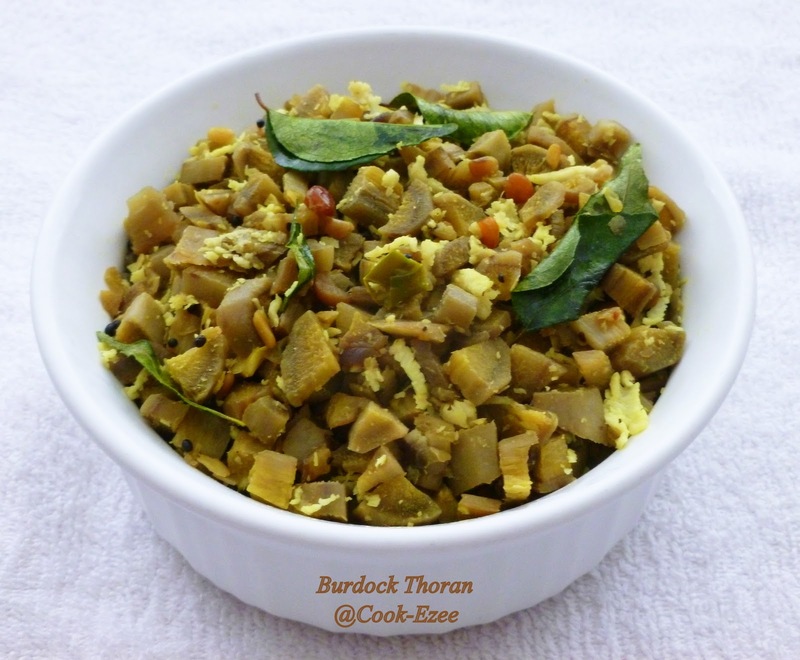 Toss together the chopped burdock root, onion, green chilies, few curry leaves, salt and turmeric. Set aside. Heat up a kadai/pan pour oil and crackle mustard seeds. Add in the parboiled rice and stir for few secs till they start expanding. Add in few curry leaves, dry red chilies, chana dal, urad dal and saute for few seconds. Add in the tossed vegetables and saute well to mix. Sprinkle a handful of water, stir and cook it covered for 10-12 minutes in medium heat. Open the lid in between for couple of times and stir so that they do not stick to the bottom of the pan and burn. Open the lid and check if it cooked, check on salt and adjust accordingly. This will not be very soft when cooked mostly bit crunchy and chewy but the raw smell should vanish. Once cooked switch off the stove and add more curry leaves if desired. 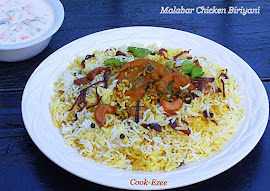 Moving to a serving dish and serve warm with Boiled Rice/Roti. Do we get this in India.. If so where?? A very new veggie to me,here we don't have korean market near by may be that's y..looks similar to vazha thandu,healthy thoran!! 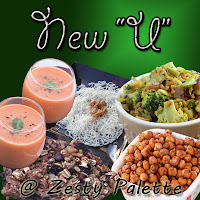 I am very new to this veggie, Looks very healthy and quite delicious. you have given me another ingredient to look out for. :) I have posted your awards. Better late than never right? Thanx dear..! Oh!,healthy thoran Dear.Luks Awesome.This is new to me and Thanks for sharing.I cdn't find the Award here. very new to me..healthy and delicious thoran..
Never tried burdock root , you have inspired me to try it. i think ive seen this before, but didnt know how to cook it. 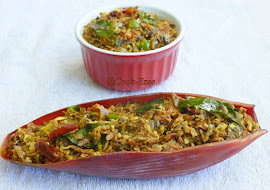 Nice recipe..
ive never tried this before...thoran looks yummy.. I have something very funny to tell you ! This is something new and thx linking it to the event.